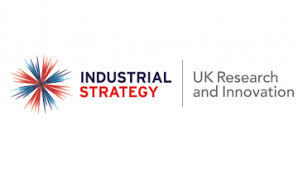 Under the UK government’s Industrial Strategy Challenge Fund, £3M will be made available to fund research projects to investigate how businesses can make best use of artificial intelligence in law and insurance, and additionally how consumer attitudes to AI are developing. The Next-Generation Services Challenge seeks to take on the biggest industrial and societal challenges of our time. Services account for almost 80% of the UK economy, with financial and professional services alone employing around 2.2 million people and valued at £190 billion. Today’s announcement builds on the government’s commitment to help drive forward innovation in the public sector and help it seize the opportunities of AI. The government recently announced £10 million of funding through the Regulator’s Pioneer Fund to support bodies to create a regulatory environment that gives businesses the confidence to use emerging technologies. AI and data driven technologies have the potential to transform our services sectors but in order for the UK to derive the biggest benefit, we will need to address not only the technical challenges that application of these technologies requires but also the human behavioural challenges that must be addressed. That is why I’m particularly excited by these 3 projects that bring multi-disciplinary research to bear, examining business model, behavioural and technical challenges with the use of AI and data and together addressing accountancy, insurance and legal services.